Positioned only blocks from the Perth CBD with a range of local bars, cafes and restaurants nearby, easy access to rail and bus transport hubs and car access to northern and southern freeways. 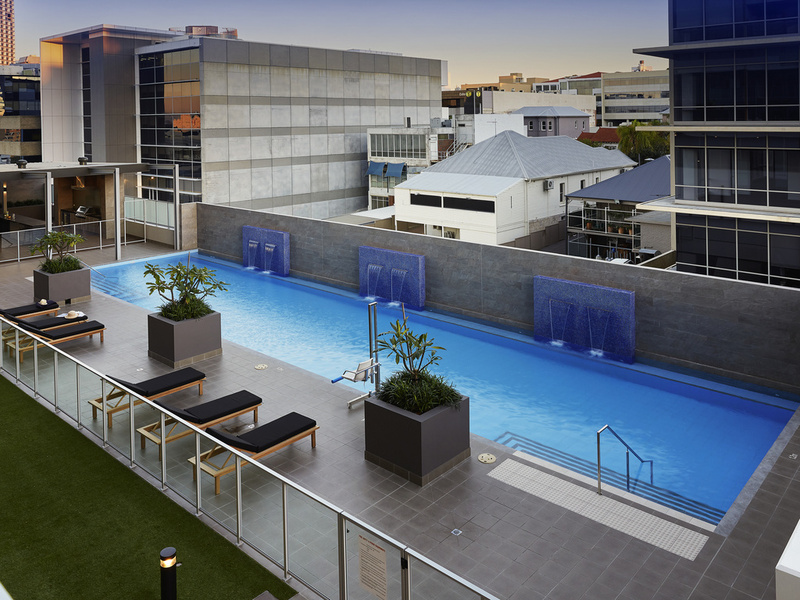 Situated close to business and government precincts, The Sebel West Perth Aire Apartments offers 4.5 star apartment studio rooms with kitchenette, laundry facilities, 24 hour reception, car parking, 22m solar heated pool, fully equipped gymnasium, sauna, cabana lounge, with barbecues and outdoor dining areas. Located in West Perth with access to Perth CBD, Kings Park, Subiaco and accessible via Public Tranpsort and Freeway system. Secured Undercover Guest Carparking available.